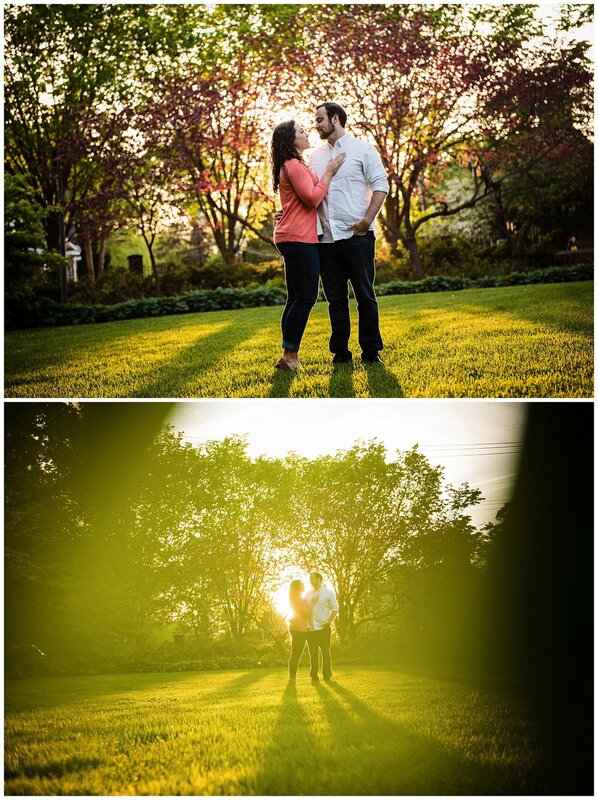 Delaware Wedding Photography- University of Delaware Engagement- Lauren & David — Love & Adventure Photography- Baltimore Maryland Wedding & Adventure Photographer. I really like going to places that mean something to my couples. 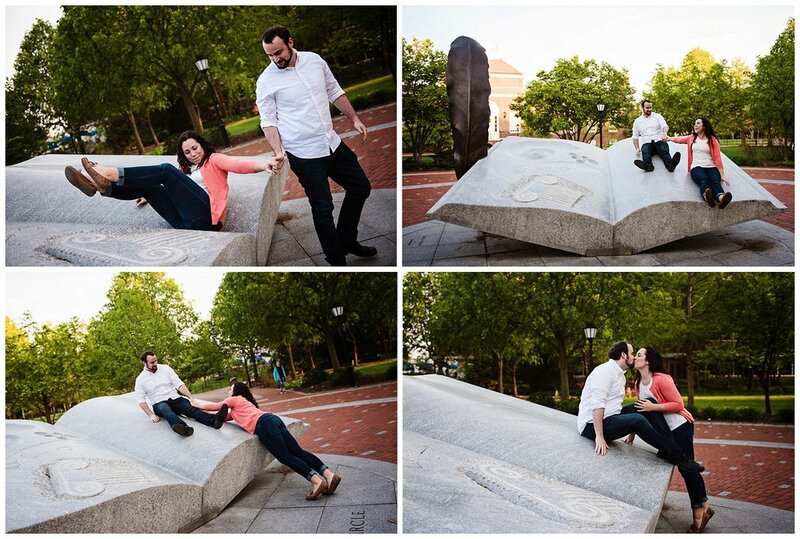 For Lauren & David's engagement session we went to University of Delaware where their story began. They even brought TeeJay along who probably stole the show just a little bit! David and Lauren first met at the University of Delaware in 2004. They were neighbors in the dorm, Dickinson A, and became friends on move in day. It wasn't until after graduation in 2008 that they started dating. Not long after starting their relationship, Lauren moved to Virginia for her first job at Stanley Black & Decker and Dave to Grenada for medical school. During this time of long distance, Lauren visited Dave on "the island" as often as she could, and when Dave was on break from school, frequented the "frat mansion" where Lauren lived in Arlington. They then moved to NYC, where Dave lived in Brooklyn completing his clinical rotations, and Lauren lived in Hoboken, NJ doing field sales. They would then briefly move back to Maryland and finally to York, PA with their small zoo of TeeJay, Eva, and Reggie. It was in York at Lake Redman that Dave would propose. They took their dog on a walk on the trail around the lake a couple days before Christmas. He stopped at a bench along the trail that looked out over the lake and asked Lauren to marry him. Even though TeeJay still wanted to continue his usual walk, the couple quickly returned home to start calling family and friends to share the exciting news of their engagement!